Product categories of Rapier Loom, we are specialized manufacturers from China, Rapier Loom, High Speed Rapier Loom suppliers/factory, wholesale high-quality products of New Type Rapier Loom R & D and manufacturing, we have the perfect after-sales service and technical support. Look forward to your cooperation! RFRL31 is developed from RFRL30,It can reach the top class level of the best international high speed rapier looms. 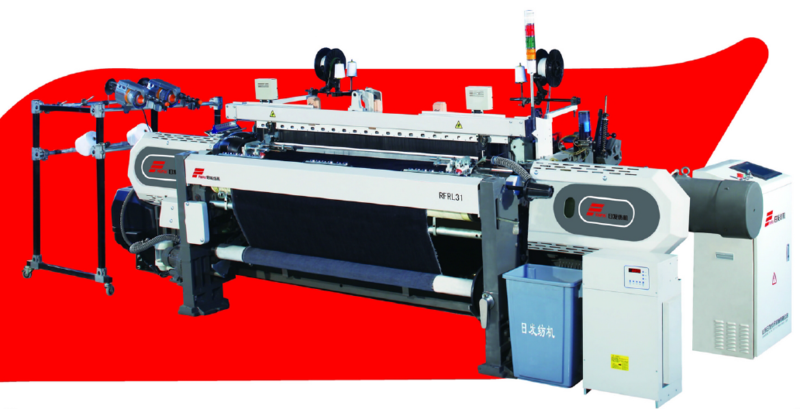 It adopts super direct motor to drive Loom, the speed is controlled by the most advanced SRD system, can ensure perfect fabric quality and save power. At same condition RFRL31 can save more than 20% power than normal motor.